This article provides an overview of some possible ways in which old and new media can make a positive contribution at different stages of the conflict cycle, from early warning to de-escalation, reconciliation and strengthened social cohesion. It presents some examples of media production that form an alternative to the mainstream media, which tend to support the powerful. Peace journalism, on the contrary, pays more attention to the perceptions of rank and file members of different groups, paves the way to a better mutual understanding, looks for common ground and explores ways in which different communities can peacefully live together in the future. Media are mostly in the hands of the powerful. They can be State owned, or they are owned by rich people. The powerful are generally in favor of the status quo. In many cases, therefore, the media do hardly fulfill their role as a critical watchdog, - a role which would be even more important in states where few checks and balances exist between different institutions, and where power is highly concentrated in a few hands. The powerful have little interest in the publication of critical or negative news. In China, the most watched news program, Xinwen Lianbo, used to be called the “happiest 30 minutes” on television because the government mainly allowed positive news to make the headlines. But this obviously distorts reality. As a result, people may lose confidence in state media – and not only in the media. Biased state media can lead to a loss of credibility and legitimacy of government itself. Private mass media face another problem. They have to sell – and that often leads to more sensational reporting: “What bleeds, leads”. In this way, media can easily contribute to the escalation of conflicts, because acts of violence may dominate the news, and peaceful interaction remains underreported. New social media provide unique opportunities for individuals to articulate their opinion, get their voices heard, and draw public attention to issues that need to be addressed. But social media, too, are not without problems. Social media often spread unfounded rumors, half truths, and can also be used to mobilize people to commit acts of violence. All media, old and new, can thus be used to escalate or to de-escalate conflicts. So the question has to be asked what can be done to tip the balance in favor of de-escalation rather than escalation. Two measures will be discussed here that could contribute to this effect: improved training for journalists, and the installation of a pluriform media commission. Peace Journalism is an established academic field that offers a remedy to the propaganda-driven mainstream media. It has infused journalism practices with the lessons of Peace & Conflict studies and provides journalists the tools to combat us vs. them, zero-sum game reporting by giving voice to the often-ignored peacebuilders in society and thereby offering nonviolent solutions to conflict. Peace journalism has always been controversial, since some journalists regard it as a breach with journalistic norms of impartiality. (cf. L oyn 2007). There are a number of international training programmes that offer courses to prospective peace journalists. One of them is RNTC in the Netherlands (www.rntc.nl), formerly part of the Dutch International Radio station Wereldomroep. The Kyoto based organisation Media for Peacebuilding plans its network to provide training in other regions, too. (4) The Washington based organization Search for Common Ground (5) has – among many other programmes - a project in Kyrgyzstan, called Kabar Ordo. It is a two-year project implemented jointly with the Kyrgyzstani NGO Youth of Osh. The project is an ongoing partnership with eight key media outlets (television, radio and print) organized to produce new kinds of content that highlights diverse perspectives on conflictual issues while suggesting ways to address them. Kabar Ordo’s content is filled with a wide variety of themes that show the human side of the story. Participating journalists are predominantly under the age of 25. (6) Another example from Kyrgyzstan is the media training series for journalists from southern Kyrgyzstan started last year (2012) by the School of Peacemaking and Media Technology.. While a better training of journalists can contribute to more peace oriented content, a parallel measure can be necessary to avoid the publication of content with hate speech that incites to violence. The work of the National Steering Committee on Media Monitoring had some effect, but State censorship is probably not the most suitable measure in this respect, because it can easily be used to silence opposition. A better model could be the model of an Independent Media Commission (10), as it has been set up in Bosnia and in Kosovo (cf. Price 2002) It consists to a large extent of members from different media, and its daily business is mainly to deal with complaints and media monitoring. To make such a commission more independent of individual governments, a common commission of several countries in the region (e.g. West Africa or Central Asia) could be created, with members from different media in different states, who could establish a basic Code of Conduct for media in the region, which would protect their independence and at the same time help avoid publications which would contribute to an escalation of conflicts. This contribution will concentrate on the positive role (11) of media: how the media can make a constructive contribution to conflict prevention, how they can detect violence at an early stage and monitor peace agreements, and how they can increase social cohesion and thus contribute to reconciliation. A large degree of social cohesion, which would not exclude any minority group, would at the same time be the best prevention of future conflict. The structure of the following text roughly follows the “conflict cycle” and discusses the potential positive role of the media at any stage of the cycle. But a stylized presentation of conflict (escalation, hot phase, de-escalation, peace) does not really correspond to reality in most cases. Reality is much more messy and makes it difficult to make a clear cut distinction between different phases of a conflict: conflict prevention, escalation, large scale violence, and reconciliation can all take place at the same time, often with different emphasis in different regions of a conflict affected country. But as a guiding principle to structure an analysis of the role of media, the sequence of a “conflict cycle” can still be helpful. Conflicts do not break out from one moment to the next. There is normally a long period in which tensions slowly build up – often over years or even decades. It is not inevitable that this build-up leads to large scale violence. A lot can be done to prevent outbursts of violence and to reduce the antagonism between different groups. Peace journalism as described above can make an important contribution to conflict prevention by offering a different type of content, which reduces animosities, increases mutual understanding, unmasks the structural causes of increased tensions, and focuses on opportunities for future cooperation. The radio soap in Rwanda is used to support reconciliation, but it could be used as well for conflict prevention. It focuses on conflict between two fictional villages. It shows the mechanisms that lead to an escalation and drag individuals into the conflict until they commit actions that they would have never thought of before. It demonstrates the tremendous damage done to all sides. It helps the audience to recognize early acts of verbal violence and to understand situations in which people are especially vulnerable to hate speech. It wants to mobilize listeners to intervene at an early stage in their own environment, when they can still confront efforts to de-humanize others. The series Musekeweya has been on the air since 2003. It has been a tremendous success. Its entertainment value is such that about 85 per cent of radio listeners were the regular audience of the soap. Independent evaluations have found it has succeeded in changing the attitudes of listeners and has increased trust within communities. If we talk about media, we seldom speak of school books. But for many people, these are the only books they read. This is information with an extraordinary dissemination, which reaches young people at a very receptive age, and which is much more persistent in the minds than the content of a newspaper article. Ideas about the “Other” – inside and outside of the country – are often implanted and perpetuated in school books, especially in books on history and geography. They provide a kind of common mindset for a whole generation. However, history is always controversial. There is not one “correct” history beside many misrepresentations; there are many histories, experienced from different perspectives. To avoid an unbalanced historic account, it is important to write history together with people who maintain different views and to report these different perceptions. As far as the history of West Africa is concerned, it would be good if there were a common history book project (perhaps there is one), as we have in many other regions of the world. A recent overview by Korostelina and Lässig (2013) on “History Education and Post-Conflict Reconciliation: Reconsidering Joint Textbook Projects” reports on such projects in Europe, the Balkans, the Caucasus, the Far East and the Middle East. In some countries in the world (especially in East Asia), many young people spend more hours on playing computer games than on homework. Ideas about the world, about friends and enemies, are subconsciously implanted via the content of games. Many of the games are war games. It is not certain whether these games have a negative impact on the behavior of the players in the real world, - but the positive effect is probably negligible. Some countries have realized the potential of games to spread specific views. China, for example, has candidly integrated online game technology for propagating official views on the country’s history, while at the same time stimulating business development. A recent analysis of online games about China’s Resistance War against Japan (1937-45) provides an example of the interaction of politics and commercialization, see Nie (2013). Alternative content creation which creates more mutual understanding is a long-term endeavor. It takes time and needs a lot of repetition to be effective. But the effects can still be quickly wiped out at the moment that violent incidences occur and violence spreads. It is therefore of eminent importance that such incidences are spotted at an early stage and that an unbiased reporting (as far as possible) is taking place. New social media, especially mobile phone technology, have provided new opportunities to collect data from many different localities and to aggregate these data to provide a real time overview of local developments. The most famous platform that allows the reporting of incidences and makes them visible on a map is the Ushahidi platform. c) Crowdmap (20), a hosted version of the Ushahidi platform which you can get up in two minutes to crowdsource information. The platform has been used for election monitoring, for the collection of data on environmental damage and the violation of environmental regulations - but also for such a mundane issue as the location of smoke-free places in Bulgaria. (21) The map of deployments of the platform includes two Ushahidi applications in Nigeria. (22) It is a very powerful tool for civil society organizations to collect, aggregate and visualize evidence, which otherwise remains hidden and unknown. Another way to spread information in a situation in which the government restricts the circulation of important news is Radio Darfur (or Radio Dabanga). 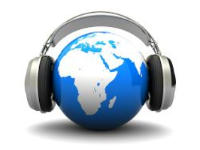 Radio Darfur is produced by a coalition of Sudanese journalists and international media development organizations, which is supported by a consortium of international donors, humanitarian community organizations and local NGOs. It has been conceived, operated and facilitated by Free Press Unlimited in the Netherlands. Though located in the Netherlands, it reports from inside Sudan as well as from abroad, producing independent news and relevant information for all Darfuri: City folk, villagers and herdsman, IDPs, Refugees, Darfuri abroad and in Sudan. It broadcasts in vernacular languages, so that everyone in Darfur can understand the latest news. (24) Most of the local news reach Radio Dabanga by calls from mobile phones. While mobile phones can be an important instrument to identify and communicate threats, they can also be a formidable means to mobilize people to “defend” themselves and commit acts of violence. Radio La Benevolencija planned to carry out an action research project together with the Centre for Conflict Management and Peace Studies of the University of Jos in Central Nigeria, where large scale violence in the past years has lead repeatedly to the slaughtering of hundreds of people. The project wanted to analyze the role of new media, especially mobile phones and internet-based social network services, in the fast escalation of violent conflicts and design methods to use new media to counteract such escalation. It planned to identify ways to mobilize “active bystanders” making use of new media and help to create a network of institutions and individuals for “early reaction” in response to “early warning” (25). Unfortunately, this project could not be carried out yet. During the hot phase of violent conflict, new media - especially mobile phones – can be used to keep contact with relatives, warn people to enter dangerous zones, rescue people, and reunite families dispersed by the conflict. People will listen more to radio and TV, but the chances that media can contribute to a better mutual understanding in this phase of a conflict are quite low. It is only after the shooting stops that media can again play a positive role and may contribute to reconciliation. Shocked by outbursts of violent conflict, many people are prepared afterwards to look for ways and means to avoid the reoccurrence of such events. Many might therefore become interested in peace education. Peace education for children at school or outside school can be a long-term strategy to avoid future violent conflict. But adults, too, may become more interested to participate in peace education programmes, either offered locally or via e-learning at a distance (e.g. programmes offered by Transcend, the University for Peace, or The Network University (TNU), see the websites in the annex. But “peace education” can also be understood in a broader sense. During protracted violent conflict, many highly educated people will heft left the region. They are usually more mobile than others, since their skills and experience are also in demand elsewhere. Large scale violence has often destroyed infrastructure, production facilities, and institutions. As a result, unemployment is mostly larger than it was already before. In a situation which is often still uncertain and insecure, little investment takes place and little employment is created. Most of the remaining population lacks the qualifications which would attract new jobs. The broad range of educational facilities on the internet, however, offers an enormous potential to acquire knowledge and skills via online learning. Every language area should have a kind of “School of Everything” (cf. schoolofeverything.com/), which brings together people who can teach on specific subjects with potential students, eager to find lessons, courses or teachers, nearby or at a distance. Informal learning of this kind could help to fill the qualification gap that contributes to large scale unemployment. Widespread unemployment, especially among young males, is otherwise a factor that can easily lead to new violence, when frustration fuels aggression. If people have nothing else to do, memories of past wars easily become idealized. The pain of violence is no longer felt, and memories of heroism are cultivated. People may start to glorify the past experience, which might prepare the ground for new violent confrontations. The media can make a very important contribution to deglamorize violence. This can be a task for all mass media. Often the creative arts can make a special contribution to this process. (Kanyako 2005) Media could also follow the example of Studio Ijamba in Burundi and celebrate “peace heroes” instead of war heroes: people who helped people from the “other” side by protecting them against prosecution and attacks, by hiding them, - people who ran a great risk by not joining the chorus of the mainstream, but looked for other solutions than violent combat. Another important activity of media in the aftermath of large scale violence would be to come to grips with the atrocities committed by the “own” side. (26) An open discussion of “own” misbehavior will not always be welcome. But it helps to demolish “black and white” perceptions of one self and of the other, and it can lay the basis for future reconciliation. Truth commissions with wide media attention can be part of such a process. An important step towards reconciliation can be a media project like the one that Search for Common Ground supported after the war in Kosovo: Seven young filmmakers, two Kosovar Albanians, two Macedonians, one Macedonian Albanian, one Roma (Gypsy), and one Serb completed six separate documentaries, depicting the experience of the war from their individual ethnic and cultural perspectives. (27) They did not have to agree on anything. They just documented parallel experiences. Getting a better understanding of how the “others” have experienced a specific violent episode of history can take away some of the bitterness and hostility, because it shows how all sides usually perceive themselves as victims of a conflict, not as perpetrators. The presentation of alternative views can open the avenue to constructive dialogue and future cooperation. It also makes people aware of the sensibilities of the different parties to a conflict. This helps to create a common “language” in which future discussions can take place. When a group of researchers at the University of Amsterdam prepared a “People-to-People” project for Israel and Palestine about 10 years ago, they became quickly aware that in order to be able to discuss future cooperation, they would have first to deal with the past. That would enable participants to acknowledge the emotions that any specific vocabulary would evoke in others. Without having to agree on anything, the mutual awareness of sensibilities could create a common framework, which could provide a basis for constructive discussions about the future. That was the basic assumption underlying the “Split Screen” (28) project, which created an opportunity for different parties (in this case from Israel and Palestine) to exchange information on their own historical experience in order to be able to discuss possible common futures. Given the physical separation between the participants in the dialogue, new social media provide excellent opportunities to do this in an online environment, if people cannot meet face to face. An important part of the reconciliation process is to no longer look exclusively at the past (“who did what to whom”), but to turn into the future and start discussions about the long-term prospects of the community as a whole. The most famous example of such a process were probably the Montfleur scenarios, which were discussed in 1991-92 during the final stage of the apartheid regime in South Africa and which paved the way towards a democratic government of the “Rainbow Nation”. (29) By working together on alternative possible futures (and the consequences that this would have on different groups), an agreement could be reached on future policies, which brought the apartheid regime to an end. (Kahane 1996) Similar processes were started later in other conflict regions of the world, but not all had the same crucial impact as the Montfleur scenarios. (Kahane 2004, Sagasti 2004) Now, more than 20 years later, new social media provide excellent tools to assure a much broader public participation in the discussion about such scenarios, - a process which can help to discover a lot of common ground. The text above has listed many contributions that media can make to conflict transformation. In a more and more “mediatized” world, with a fast increase of ever more people to media exposure, this role will become even more prominent in the future. However, media projects alone are not sufficient to overcome violent conflict. They have to be embedded in a broader approach that addresses the issues that have given rise to the conflicts. (cf. Kalathil 2008) But the opposite is true as well: Broader approaches have to be accompanied by a media strategy that allows to reach and include the rank and file members of the different groups embroiled in conflict. techchange.org : Offers online courses on topics like “Digital Organizing and Open Government” and “Social Media for Social Change”. www.freepressunlimited.org : Works in 40 countries (including Central Asia) and has been involved in some of the most successful media development projects. www.peacejournalism.org : Peace Journalism is a globally distributed reform movement of reporters, academics and activists from Africa to the Antipodes. Academic courses are being taught in the UK, Australia, the USA, Mexico, South Africa, Costa Rica, Norway, Sweden and many others. www.park.edu/peacecenter/ : The Center for Global Peace Journalism at Park University promotes peace and peace journalism through seminars, courses, and projects both in the U.S. and abroad. mediaforpeacebuilding.com : Peace Media takes Peace Journalism a step further by expanding the concept of media practice beyond orthodox reporting (print, TV, and radio) and includes other nonconventional forms like music, theater, and graphic arts, which are more commonly used by citizen journalists in distributing a message. iwpr.net/: The Institute for War and Peace Reporting assists to develop the skills and capacity of local journalism, strengthens local media institutions and engage with civil society and governments to ensure that information achieves impact. www.rntc.nl : RNTC is an international training institute based in the Netherlands serving media professionals working in broadcast, print and online media. www.labenevolencija.org : The Dutch NGO Radio La Benevolencija Humanitarian Tools Foundation uses entertainment and education methods to reach audiences affected by violence. www.sfcg.org : Search for Common Ground works to transform the way the world deals with conflict - away from adversarial approaches and towards collaborative problem solving, mainly employing media initiatives. www.peacegames.com/ : Peacegames provide participants the opportunity to play the parts of parties in conflict situations and to play the role of a mediator who helps the parties reach agreement. The games show alternatives to violence for dealing with conflicts. www.ushahidi.com/ : Ushahidi is a non-profit tech company that specializes in developing free and open source software for information collection, visualization and interactive mapping. It builds tools for democratizing information, increasing transparency and lowering the barriers for individuals to share their stories. www.frontlinesms.com/ : Frontline SMS’ mission is to lower barriers to positive social change using mobile technology. It enables instantaneous two-way communication on a large scale by leveraging tools already available to most NGOs – computers and mobile phones. www.peace-ed.org/ : The Peace Education Foundation’s mission is to educate children and adults in the dynamics of conflict. It has published material currently in use in more than 20.000 schools around the world. www.transcend.org/tpu/#courses : The Transcend Peace University offers a broad range of online courses about Peace Making and Peace Building. upeace.org/ : The University for Peace offers a variety of online courses on international peace studies, including courses on Media, Peace, and Conflict Studies. www.netuni.nl : The Network University (TNU), based in Amsterdam and Nairobi, offers a range of online courses on conflict transformation. www.accessnow.org/ : Access is a non-profit organization premised on the belief that the realization of humanrights and democracy in the twenty-first century is increasingly predicated on access to the internet and other forms of information communication technology. kpm-ks.org/?gjuha=3 : Independent Media Commission of Kosovo. schoolofeverything.com/ : Institution that matches people who can teach anything and potential students who want to learn something in that specific field. www.studioijambo.org/ : Studie Ijambo (meaning “wise words”) is a radio-production studio in Burundi that employs an ethnically balanced team of journalists to produce high-quality radio programs that promote reconciliation, dialogue, and collaboration. www.radiodabanga.org/ : Radio Dabanga (Radio Darfur) aims to inform the Sudanese population in an independent and balanced way. The programme is produced by a consortium of NGO’s and media development organisations. (1) : The Preamble to the Constitution of UNESCO declares that « since wars begin in the minds of men, it is in the minds of men that the defences of peace must be constructed ». (2) : An excellent overview of the issues is provided by Hamelink (2011). (3) : Galtung (2008) p. 25. See also the material of Galtung’s Transcend Media Service on Solutions-Oriented Peace Journalism on https://www.transcend.org/tms/about-peace-journalism/. (5) : See for a description of Search for Common Ground projects: Melone et al. 2002. (7) : For regulation introduced in Rwanda, Burundi and the DRC, see Frère (2010). (8) : Susan Benesch and others made a discourse analysis to identify ‘dangerous speech’, which they define as “discourse that may catalyze violence by one group against members of another”. They monitored Kenyan inflammatory discourse online in seven separate languages since September 2012 and found ”more inflammatory speech than expected, some of it explicit and violent, especially in the weeks surrounding the March 2013 presidential election”. Awori, Benesch, Crandall (2013). (10) : See its website kpm-ks.org/?gjuha=3. (11) : Much more has been written about the “often negative contributions of the media to the escalation and violence phases of conflict”, Gilboa (2009), 455. (14) : The author of the present contribution admits that an effort in which he has been involved, dramatically failed. It was downloaded only 379 times. (16) : Examples are the Children’s Peace Theatre in Toronto (www.childrenspeacetheatre.org), the Youth Theatre for Peace, which performs in Tajikistan and Kyrgyzstan (www.irex.org/project/youth-theater-peace) and The Art of Peace in Somalia. (22) : The Citizen’s Reporting Platform www.reclaimnaija.net is “set up by Community Life Project (CLP) to promote popular participation in Electoral Transparency and Democratic Accountability in Nigeria. The platform empowers grassroots people to monitor and report incidents of electoral malpractices” and the Nigeria Security Tracker (NST), a project of the (United States) Council on Foreign Relations’ Africa programme, which documents and maps violence in Nigeria that is motivated by political, economic, or social grievances, see www.cfr.org/nigeria/nigeria-security-tracker/p29483?cid=otr-marketing_use-nigeria_security_tracker. (23) : www.frontlinesms.com/frontlinesms-in-action/case-studies/. Download the introduction to FrontlineSMS at www.frontlinesms.com/_PREV/user-resources/download/FrontlineSMS-Introduction.pdf. (25) : In order to plan these interventions effectively, the project seeks to map and describe not only the logistical, quantifiable nature of communication flows and networks that underpin and amplify escalation dynamics, but also gain a deeper understanding of the quality of messages; how they are understood and interact with fears, prejudices and established practices of the intended audience, by whom and by what people can be mobilized and to what extent the nature of new technologies plays a qualitatively different role than ‘traditional’ means of communication. (26) : Govan Mbeki, the former head of the military wing of the ANC, who was imprisoned together with Nelson Mandela on Robben Island, planned to do exactly that when released. The ANC leadership probably was not enchanted by this idea.